Alfa Romeo confirms full-sized SUV - 7-seat hybrid? Home » Cars » Alfa Romeo confirms full-sized SUV – 7-seat hybrid? Alfa Romeo has already started working on a full-sized SUV with a possible seven-seat layout – a first for the brand, Auto Express reports. This marks the Italian automaker’s second and largest SUV venture, following the introduction of the mid-sized Stelvio in late 2016. The new large SUV, which will take on the BMW X5, Volvo XC90 and Audi Q7, is to be built on the same platform that underpins the Stelvio, and its development is already underway. In order for it to be worthy of the Alfa Romeo badge, the car has to employ a performance-focused mild hybrid system, which means its powertrain could develop around 405 hp, according to the report. 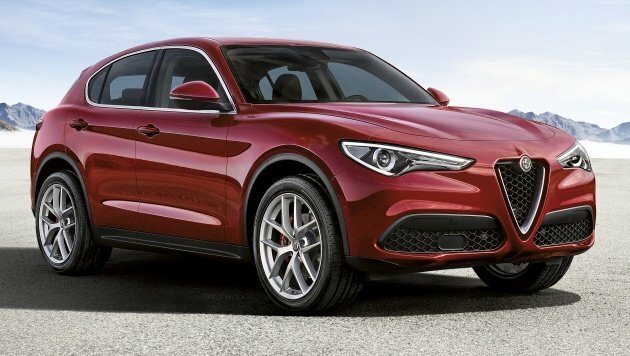 “The Stelvio for sure is an example of Alfa DNA, why don’t we translate that in a car which is a little big bigger? We have to marry the new car with the right level of electrification. Plug-in hybrid could be a problem for the Alfa DNA point of view, but for instance a 48-volt mild hybrid solution is something that we can do without losing anything,” Alfa’s chief technical officer, Roberto Fedeli told the British publication. For its powertrain, there’s a good chance we’ll see a 2.0 litre four-cylinder among the mix, paired with a 48-volt electrically augmented turbocharger to produce around 400 horsepower. “I’m quite happy about the result we have obtained coupling a four-cylinder with the 48-volt e-turbo – I think next time we can also use it in production. With a 2.0-litre turbo engine you can achieve around 350 to 400 hp. We are driving on a simulator a car like that, we are working on it, and the result is not so bad,” Fedeli added. In terms of weight, expect a 200 kg increase over the Stelvio, said Fedeli. This is due to the longer wheelbase and bigger body, but the weight gain can be mitigated by the e-turbo system and mild hybrid powertrain. This propulsion strategy is different to its main rivals such as the Volvo XC90 and BMW X5, both of which sport a 2.0 litre petrol with plug-in capabilities, producing 407 hp/640 Nm and 313 hp/450 Nm respectively. Alfa said the reason why this new SUV, which has yet to be named, is being made is because of global appeal (it’s the era of the SUV boom after all) and larger profit margins. 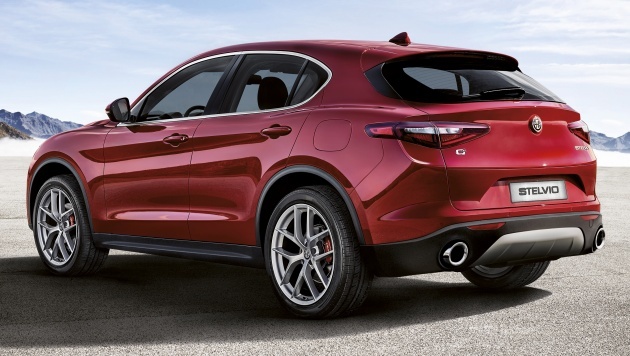 However, the new Alfa SUV won’t be hitting markets anytime soon, given the two-year production timeframe. To make it even more competitive, Alfa may offer a seven-seat layout, either as standard or as a cost option. Although no other powertrain options have been mentioned, expect it to share the Stelvio’s range of engines, from the base 2.0 litre turbo-petrol with 200 hp and 330 Nm to the 2.2 litre turbodiesel with 180 hp and 450 Nm. Higher output versions of both engines are also available, pushing out 280 hp/400 Nm and 210 hp/470 Nm respectively. The range-topping Quadrifoglio gets a “Ferrari-inspired” fire-breathing 2.9 litre twin-turbo petrol V6, making 505 hp and 600 Nm of torque, and has all-wheel drive as standard. The Italian and French are famous for making cars that breaks down in the middle of the road.